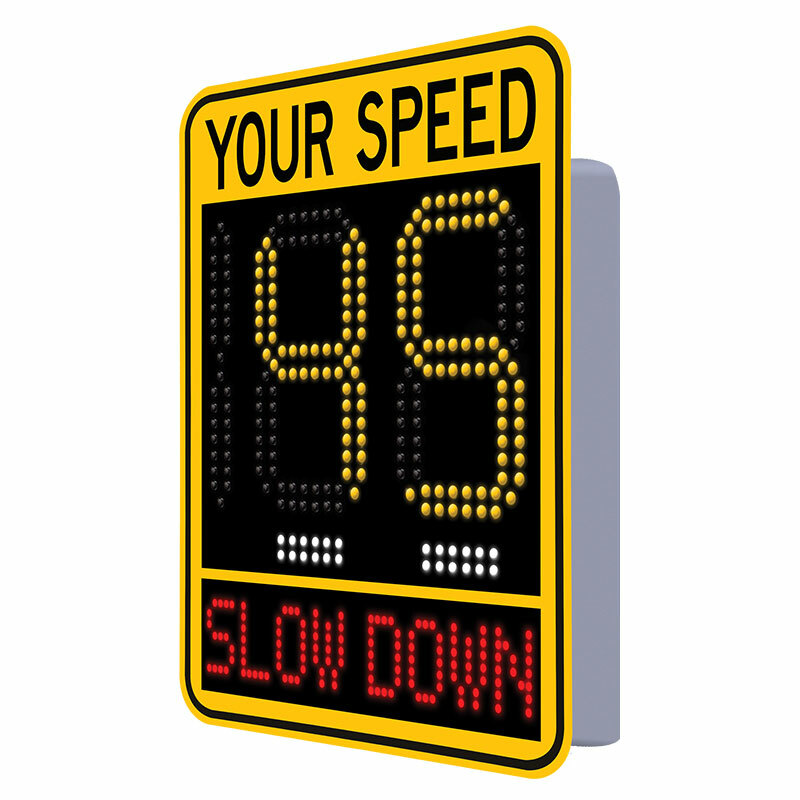 The Traffic Logix SafePace Evolution 15SD driver feedback sign is a portable, lightweight radar sign with full size 15” digits. A speed activated message to slow down alerts speeding drivers. Digits are dual color while messaging is available in a choice of red or amber. The 15SD sign can be mounted at multiple locations with a universal mounting bracket and can function autonomously for weeks at a time with optional battery power.